Lately, you’ve noticed that something is different with your teenager and it’s more than just hormones. Their eyes are bloodshot, they’ve suddenly gained or lost weight, and they’re constantly tired. In fact, you don’t recognize your teenager anymore. It’s not just physical changes but psychological ones as well. There are many signs that your teen may be abusing drugs. They’re more closed off and secretive. While these are just a few physical changes attributed to drug use, there are seven warning signs to alert you that your teen may, in fact, be using drugs and how to approach this sensitive subject. Now that you can recognize the warning signs your teen is using drugs, how do you approach this sensitive subject without setting off your teenager? It’s best to remember that the aforementioned warning signs of drugs abuse use could also be symptoms of something deeper such as a mental illness or disability. However, if you’re positive that your teenager doesn’t have a mental illness or disability then the first thing you want to do is connect with your partner and make sure that you two are on the same page. You’ll want to show a united front as you approach your teenager. Be prepared to be called a hypocrite. Have you ever smoked anything or dabbled in drugs before? Your teenager will ask you that same question. 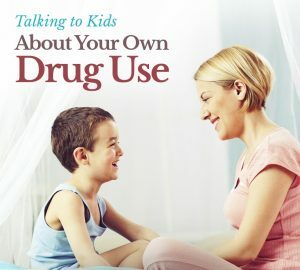 Whatever your response may be, don’t let your response justify your teen’s drug use. Before the conversation starts, you’ll want to gather every piece of evidence that you can. Of course, they’ll try to make an excuse such as, “I’m holding it for a friend.” You’ll want to look in these common hiding places: dresser drawers, desk drawers, small boxes, backpacks, duffel bags, under the bed, between books, makeup cases, loose floor boards, fake soda bottles with false bottoms, in over the counter medication bottles, and inside empty candy bags as stated on DrugFree.Org. Keep your expectations low but set a realistic goal of how you want the conversation to end. No matter what, stay calm. Be prepared for hostility and to be baited into responding with hostility. If the conversation gets hostile, end it and bring it up another time. Whatever you do, don’t deny addiction in your family. If you have a family history of addiction, kindly remind your teen that they are at an elevated risk of developing an addiction. Once you, your partner, and teenager have had a calm talk; it’s best to set expectations and rules for the future. Make sure that your teen understands the rules and the consequences for breaking the rules. Monitor your teen’s progress and if your teen doesn’t seem to be following the rules set, then be sure to follow up with the consequences. If your teen hasn’t gotten better and their use of drugs seems to be a heavier addiction problem, it’s best to seek professional help. If yo notice these signs, you may want to contact a Drug Rehab Center. For most people, they can assist you with the professional help you need. Many don’t only do they offer a detox program, but they also offer programs for relapse as well. Its always a good idea to speak with a drug recovery professional and get your teen the help they need today.